Our logo. As seen during our wedding. Absinthe label for the absinthe we purchased. 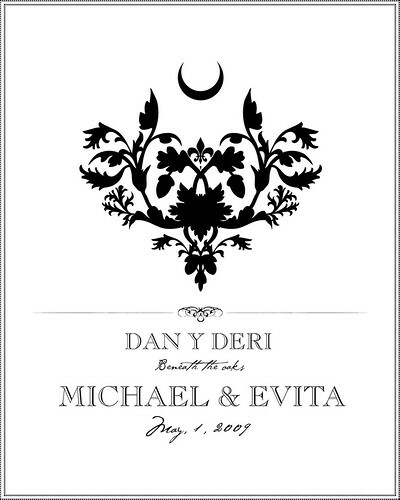 The ‘damask’ pattern is from our logo. As seen during our wedding. 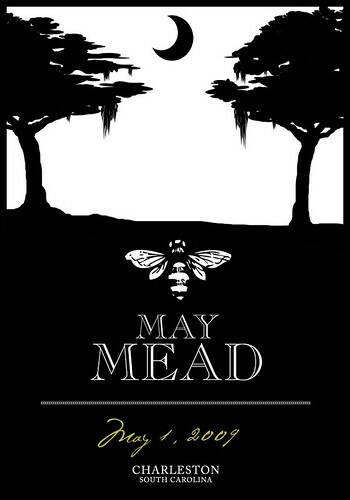 Mead label. As seen during our wedding. Cigar band. As seen during our wedding. 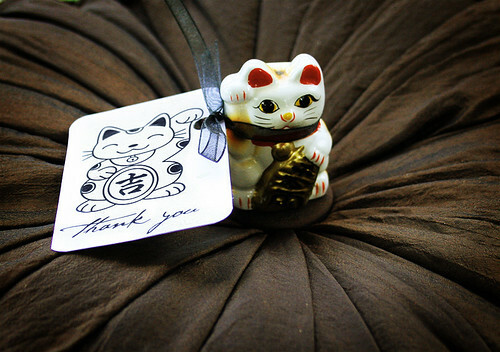 Lucky Cat favor cards. There are several stories of the origins of the Maneki Neko and the following is the version we choose to share with everyone. “Japanese legend holds that long ago an emperor was traveling on horseback when he spotted a small cat waving at him. After the emperor dismounted from his horse to get a closer look the horse was struck by lightning and killed. 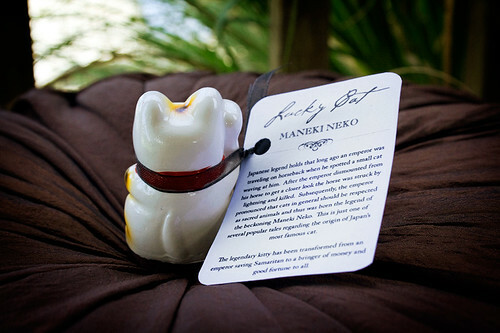 Subsequently, the emperor pronounced that cats in general should be respected as sacred animals and thus was born the legend of the beckoning Maneki Neko. This is just one of several popular tales regarding the origin of Japan’s most famous cat.